Montgomery, AL – The fourth ranked Auburn Tigers improved to 4-0 on the season, 2-0 in 7A Region 2 play, with a 21-17 win over the seventh ranked Lee-Montgomery Generals (3-1) Thursday night at Montgomery’s Cramton Bowl. A late game Auburn defensive stand, spearheaded by defensive back Cally Chizik, sealed the victory for the Tigers. With the Generals driving, Chizik picked off a Tyrone Franklin pass late in the 4th allowing the Tigers to runout the clock and take a hard-fought win back to The Plains over the previously unbeaten Generals. The Generals jumped on the board first on the leg of a TeDarrian Murray 24 yard field goal with less than a minute remaining in the opening quarter. Two minutes into the second, Auburn quarterback Griffin Speaks connected with Tommy Nesmith from just inside the Generals 10 yard line to put the visiting Tigers up 7-3. Lee reclaimed the lead on their next possession as Fred Scott hauled in a 24 yard pass from Tyrone Franklin, following a successful two point conversion the Generals were in command 11-7 with just under eight minutes remaining before the break. The Tigers returned the favor later in the second when they notched a 24 yard score of their own as Speak tossed his second touchdown pass of the night, this one to Justin Brooks. With a tick under 4:00 remaining in the second stanza, the visitors now lead 14-11. The Tigers extended their lead with just over a minute to play in the half on the legs of Josh Norris who scored from 10 yards out. Auburn lead 21-11 going into the locker room. In a half dominated by defensive stands, the only points scored in the final two quarters came courtesy of a TeDarrian Murray rushing strike from inside the Auburn 10 yard line. Murry’s score pulled the Generals within a touchdown at 21-17 but that’s as close as Tyrone Rogers squad would come to their visitors from the east. 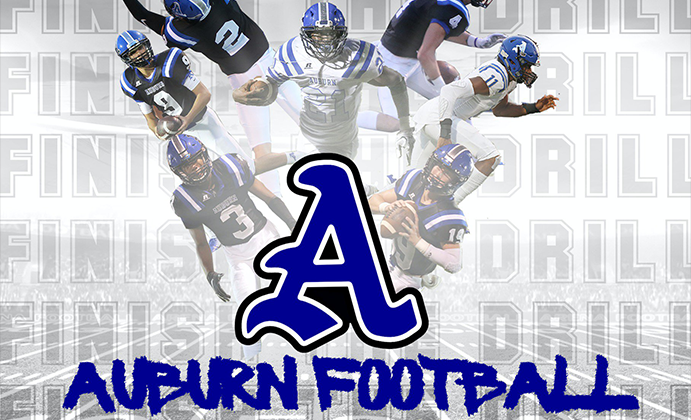 Auburn returns to action next Friday as they play host to the winless Jeff Davis Volunteers (0-3) at Duck Samford Stadium. Lee returns to region play hosting the Smiths Station Panthers (2-1) at Cramton Bowl.